Let’s create! Share a story, a moment or a memory that’s made to delight friends, family, colleagues or yourself. Photo enlargements and posters are available using our easy-to-use self-service kiosks or online. Sizes range from 10″x8″ up huge 60″x40″ all printed in store in minutes. We use the latest Fuji and Epson printers using Fuji archival paper to ensure your images are of outstanding quality. 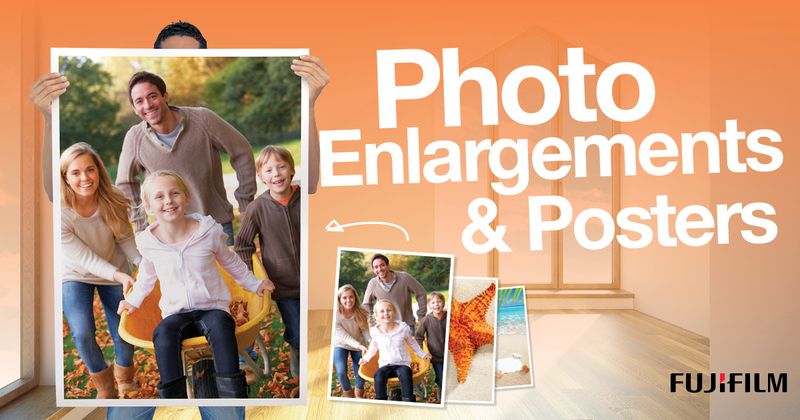 Bring special memories or moments to life with photo enlargements. Lords Photography have been experts in developing and printing for over fifty years. Every project is handcrafted with care and expertise using the latest technology and finest quality materials to give you a memory that you’ll value for a lifetime. Our enlarged prints offer unmatched colour accuracy, clarity and sharpness. And we can print from traditional film, old slides and old prints. Whether you would like square, rectangle or panoramic photos there’s a print size to suit every shot.